We’re thrilled to welcome as our latest guest poster, Casey Schmitt. Casey is a PhD candidate in History at the College of William & Mary, where she is writing a dissertation on the Iberian roots of seventeenth-century Anglo-American slave law under the supervision of Brett Rushforth. Casey holds an MA in history from the University of Utah, where she wrote an excellent thesis on the British Asiento, illicit trade, and the limits of empire in the eighteenth-century Caribbean. Her teaching and research interests center on the inter-imperial nature of the early modern Americas. As a newly-minted ABD embarking on my first stab at teaching the early American history survey, I find myself buried beneath my own excitement for the material. No one warned me that the biggest obstacle to designing a course would be curbing my own unrelenting enthusiasm. Perhaps no part of that enthusiasm has proven more damaging to my syllabus than my passion for storytelling. Specifically, I approached teaching the early America survey with a litany of historical works of fiction and non-fiction that I wanted to familiarize undergraduates with: 12 Years a Slave, Benito Cereno, Poor Richard’s Almanac, Letters From an American Farmer, among many, many other titles. Before too long I was looking at a weekly reading word count over 150 pages. Yikes. Then came Librivox.org. While studying for my comprehensive exams last fall, I started listening to lectures on various American history topics on iTunes U. That way, even when cleaning the bathroom or cooking dinner, I could be preparing myself by listening to the likes of David Blight lecturing on the Civil War. Following comps, it occurred to me that I actually enjoyed making my down time more intellectually stimulating but, try as I might, I couldn’t force myself back into the dark days of comps prep by listening to more lectures. Nor does my gradate student stipend afford me the luxury of signing up for a pricey e-book subscriptions. 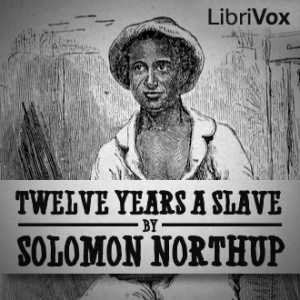 Instead, I started listening to a recording of 12 Years a Slave through Librivox.org. As a book published before the 1920s–and therefore in the public domain–the folks at LibriVox were able to solicit a volunteer to read the text and put it on their website. And, while this revelation led to painful hours listening to the heart-wrenching story of Solomon Northup’s experiences in the Deep South, it also sparked an idea. Is it possible to assign more content to students through mediums other than reading? The pedagogical payoff of this approach seemed more plausible to me while flipping through NYU professor Greg Grandin’s new book, The Empire of Necessity: Slavery, Freedom, and Deception in the New World. Taking as his starting point Herman Melville’s 1855 novella Benito Cereno, Grandin uses Melville’s darkly penetrating prose to tell a much larger story about the “paradox of freedom and slavery in America,” which Grandin describes as, “so pervasive it could trap not just slaves and slavers but men who thought they were neither.” Grandin’s engaging book delves into the history of the insurrection of the slave ship Tryal, the experiences of Anglo-American sealers and whalers in the Pacific with a focus on Benito Cereno’s savoir, Captain Amasa Delano, as well as the context and subtext behind Melville’s adaptation of this high seas drama in the form of a Putman’s Monthly serial. And, while Grandin’s narrative lends itself to an excellent lecture on the transnational reach of America’s slavery debates, the depth of the book really comes from Grandin’s probing of Melville’s writing – something that could only awkwardly be done in a lecture format. And so, this fall, my students will be required to listen to several chapters of Melville’s novella through Librivox.org. I will have to get back to you on whether or not this will be a successful endeavor on my part or what success would even mean in this case. In the meantime, I hope this blog post might spark a discussion among Junto readers about course content, the limits of assigned reading, or the use of multimedia inside and outside of the classroom. Professor David Blight’s lectures were absolutely incredible and still serve as an inspiration to me in terms of lecture style and command of the material. Greg Grandin, The Empire of Necessity: Slavery, Freedom, and Deception in the New World (New York: Metropolitan Books, 2014). « Is the History of Capitalism the History of Everything?